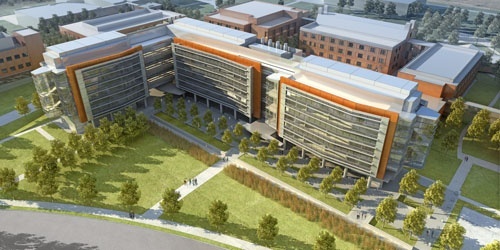 This fall Rutgers University will be finishing construction on a $115M new Chemistry and Chemical Biology Building on its Busch campus. • A microscopy suite, a class 100 chemistry clean room, and optical spectroscopy, nuclear magnetic resonance spectroscopy and X-ray crystallography laboratories. “With new facilities like this, Rutgers University is poised to be a national leader of scientific instruction, research, and federal research funding”, said New Jersey Governor Chris Christie. To help supply researchers at Rutgers University with laboratory products, Biotechnology Calendar Inc. will be holding the annual BioResearch Product Faire™ on May 11th, 2016. This on campus trade fair allows for direct interaction between lab product and chemical supply representatives and university researchers. To reserve your spot or find additional information, click the button below.